"It is no disgrace losing to South Africa in South Africa," he remarked. Former Australian cricketer Michael Hussey has backed the Indian team to flourish even more under the captaincy of Virat Kohli. Under Kohli’s captaincy, the team recently registered their first ever ODI series win on the South African soil. However, earlier on the tour, they had lost the Test series 2-1. With the defeat, India’s overseas Test wins still look deserted with only Sri Lanka and West Indies being their bunnies. Michael Hussey, as per the recent quotes in the Hindustan Times, has remarked that it is no disgrace to lose to South Africa in South Africa. He noted that the Proteas are a very good side in their backyard. Also, he feels that the times ahead are only going to get better for the Indian team. “They (India) are a fantastic team. It is no disgrace losing to South Africa in South Africa; you see a lot of teams travelling and the away teams struggle. We saw England struggle in the Ashes, we see Australia struggle when they go to England, and we see Australia struggling in India and India when (they) come in Australia,” Michael Hussey quoted. “Away teams find it hard. India have a fantastic team, very well led by Virat Kohli, and they will continue to get better,” he added. Interestingly, the next team that would tour South Africa after the conclusion of the India series is Australia. Australia are also lined up for a full tour on the Proteas soil. For the records, Australia have never lost a Test series in South Africa. Michael Hussey looked stunned to know these numbers. He is hopeful that the current lot of the Australian team will maintain the record. At the very same time, Hussey also had his words of praises for the South African team. He noted that the South Africans have a very good bowling attack. Considering the aggressive brand of cricket that the two sides play, Michael Hussey expects the contest between them to be very interesting and fascinating. 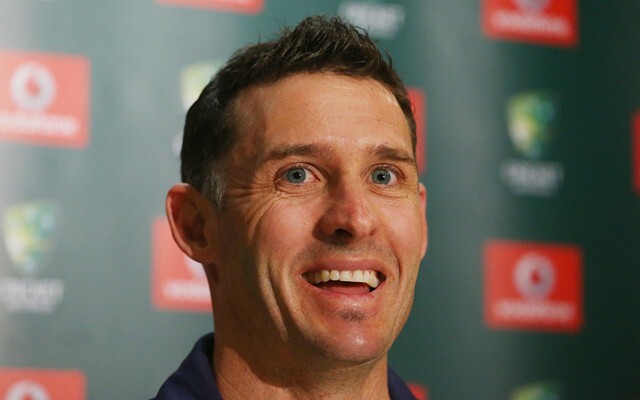 Also, Hussey hopes to see Steve Smith rise to the occasion yet again for his side. “It is going to be a great series, challenging for both teams, particularly for batsmen. I think the Australian batsmen are going to work really hard for their runs. It is a very good South African attack; the pitches are not as true as in Australia. I’m just looking forward to two very good teams going head-to-head,” quoted the former cricketer. “Amazingly, Australia have never lost a series to South Africa which I find bizarre. They have played against some great South African teams in the past. It is two teams playing similar brand of cricket, the conditions are good for attacking cricket. From my point of view, (I am) hoping Australia can do it again,” he added.